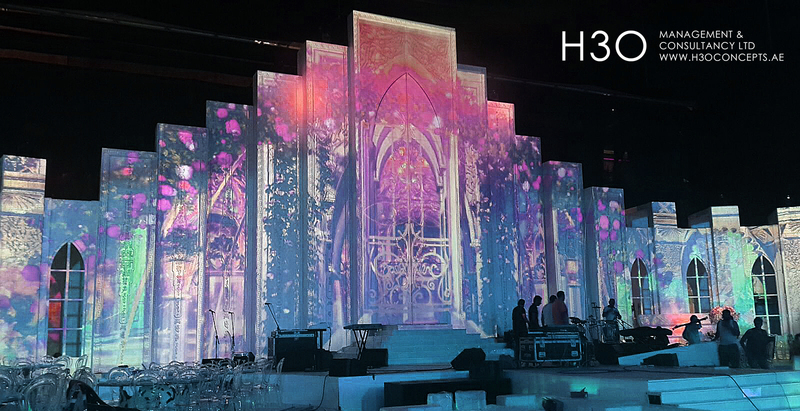 A 3d mapping content of 4 minutes was created for this High Profile Wedding. A custom tailored storyline line was created based on the client aspirations. The theme is a fairy tale, with prince, princess, butterflies and winged horse. An extensive work was made to match clients demands for the mood and color palette. several reworked stories were proposed and presented. Including visualizations, story line and animated presentation. The client was constantly informed of the work progress and had his comments and modifications taken care in real time. 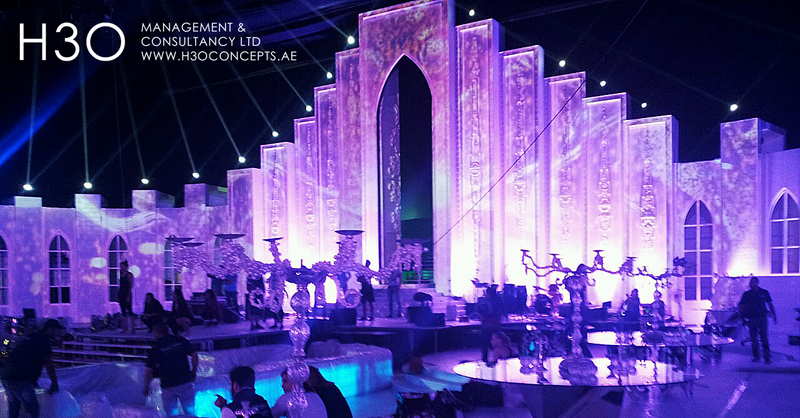 The content was synced with the soundtrack to match the bride spectacular entrance trough the central gate. 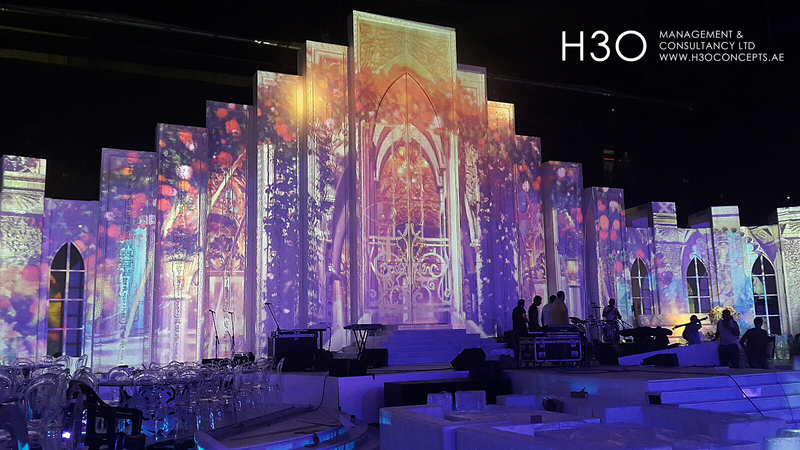 H3o Mc delivered the theme, storyline, overall mood and video content for the 3 minutes show and the mood graphics during more than 1 hour of gala diner. a constant communication bridge was built between architect, decorators, designers, graphic designers and content creators, that continued onsite during 5 days of final production. 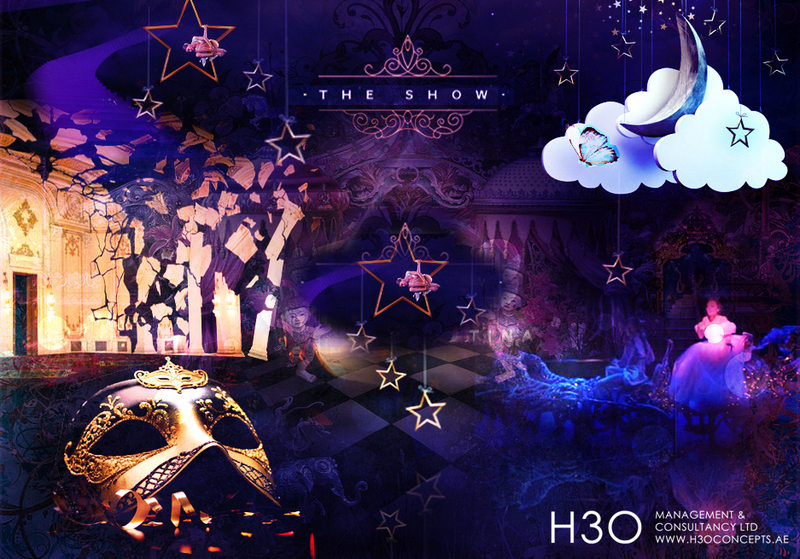 Next Post Permanent shows / Multimedia Theatrical shows/ large Scale Extravaganza shows.